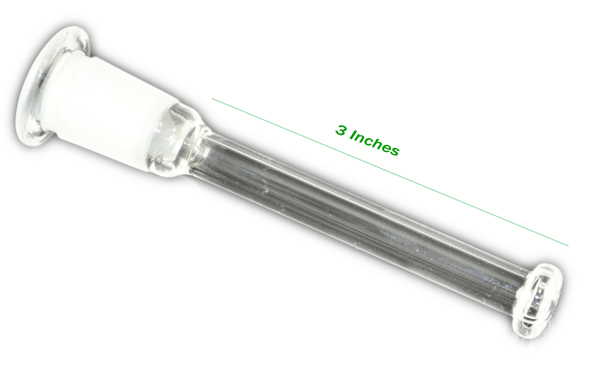 Glass on Glass Downstem for 14mm bowl and 18mm glass on glass water pipe opening and its about 6 inches long. Pros: Works like a champ. Comments: bought from your site many, many times. love the service, fast delivery and selection. and don't forget the prices!! I neve have to worry about buying from your site I always get exactly what I ordered and it always arives faster than I I think it will. I've never had anything show broken like at other polaces I won't mention. Keep up the good work! !